Often we take one kernel of truth about a problem or situation, and CBT helps with seeing more of the whole story. CBT helps clients change unhelpful thinking and behavior, and this may lead to enduring improvement in mood and functioning. 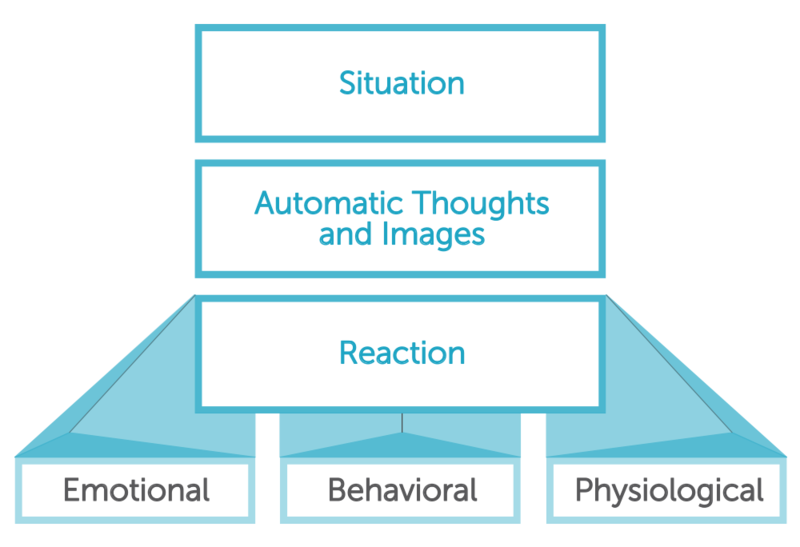 CBT uses a variety of cognitive and behavioral techniques, with problem-solving approaches borrowed from many psychotherapeutic modalities. These include dialectical behavior therapy, acceptance and commitment therapy (ACT), gestalt therapy, mindfulness, solution-focused therapy, and motivational interviewing. Collaborative: You will work together with your therapist to understand the problem, define your goals and develop the best treatment plan. Active: During and between sessions you will practice skills and gain mastery over your problem(s). Objective: We will use questionnaires on a regular basis to monitor improvement of your symptoms. Effective: Clients usually experience meaningful and lasting change in a relatively few number of sessions.